Click to check out some of the events happening this weekend! The weekend is here! There’s plenty going on that you may not want to miss–especially if you’re into fashion and food. I plan to take advantage of Center City Restaurant Week! September 15-20 & 22-27 100 restaurants are offering three-course dinners for only $35 per person and many will also offer a three-course lunch for $20. I nearly squealed when I saw Devon Seafood Grill on the list [highly suggest it]. With that said, #FatkidsUnite! Philly Fashion Week and The Philadelphia Collection is also on the list of weekend events! PFW is running until Saturday so be sure to visit www.phillyfashionweek.org to get your tickets for remaining events. The Philadelphia Collection is running until Wednesday, Sept. 25th. There are A SLEW of fashionable events on their roster. You can head over to www.thephiladelphiacollection.org to view the entire list! I will definitely be in attendance of the “E. Steven Collins Day” Memorial on Saturday, Sept. 21st. 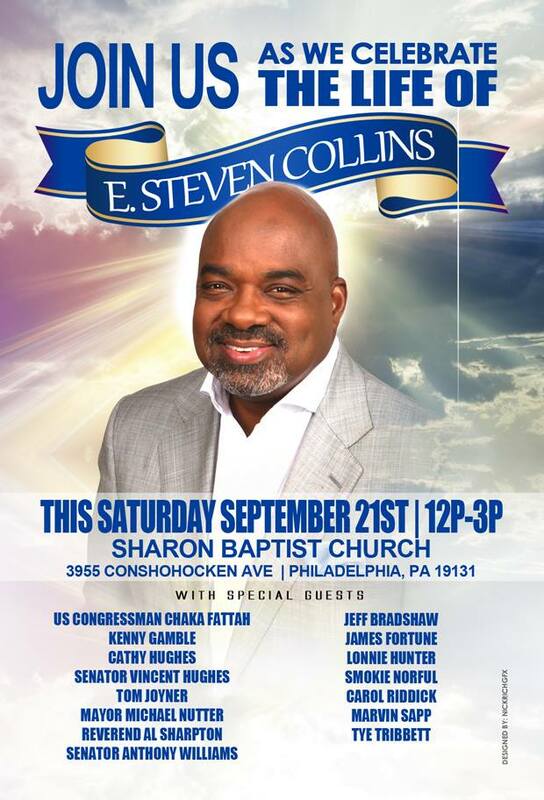 If you’re free, please come out to celebrate the life of the “unofficial mayor of Philadelphia”, E. Steven Collins. My prayers are with his family and loved ones. You loves enjoy your weekend and be sure to take a moment to appreciate the life you’ve been given–whether you’re experiencing tough times or not. What you choose to do (and become) with that reality is on you.